These premium buffer seals are an excellent choice for extreme pressure spikes and for larger rod applications. Their design provides secondary sealing and vents back pressure in low friction, high duty cycle applications. They also improve the rod seal’s life. 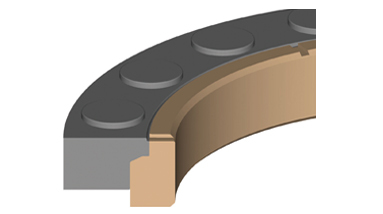 These seals are recommended for large rod diameters. Filled with PTFE and nitrile.